Let us be your trusted advisor in all aspects of IT security for your organization and we'll provide constant protection and innovation to give you continuous peace of mind. There are security issues lying dormant in every organization. A security audit will give you a comprehensive overview of what is going on in your computer systems. We provide you with a professional expert evaluation on the security of your IT systems. We look in detail at the controls in your systems and how adequate they are, and we ensure your IT setup is appropriate, reliable and cost effective. We provide specific solutions for your unique workplace. We begin by interviewing your management team and key staff. 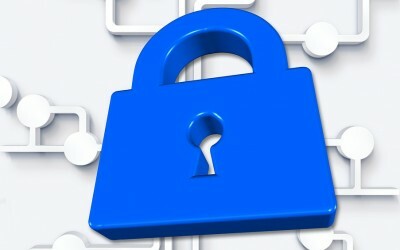 We observe your IT practices and review the documentation you have in place, including internet and security policies. We evaluate your organization's IT-related risk management, control and governance processes. Then we check the quality, validity and reliability of information to and from computer systems, which will help us assess your internal controls and security of the environment around your systems. We also check and verify any agreed procedures and see that recommendations have been applied and are adhered to. We help you choose the right solutions and processes to ensure your business is 100% secure and protected. We evaluate alternative sources and provide you with analysis, recommendations and an implementation plan tailored to your workplace. A security audit will give you peace of mind about your security systems. You know that your IT environment, applications and data are secure, controlled and productive, and are giving you a reasonable return on investment. You have monitoring systems in place to anticipate and deal with likely threats. You know what to do to reduce and control IT-related risk and comply with legal and regulatory needs. You avoid fines from the Business Software Alliance by making sure your software is legal, which in turn helps ensure that your business avoids an embarrassing and costly impact on your reputation and finances. Your IT systems comply with ISO IT standards and your staff gets up-to-date training. We provide online computer security training that will expose and get your employees thinking about all aspects of computer security. This includes virus situations, Trojans, spam, intrusions and hackers. We also demonstrate the impact of denial of service attacks, and they will learn about the key components of security technologies including firewalls, VPNs, anti-virus software, intrusion prevention systems, anti-SPAM systems and also review the security of Windows, Unix and Linux (if your company is interested in migrating to an open source environment). We help upskill your staff to meet the challenges of ever-changing IT threats, and are on-call for expert advice.